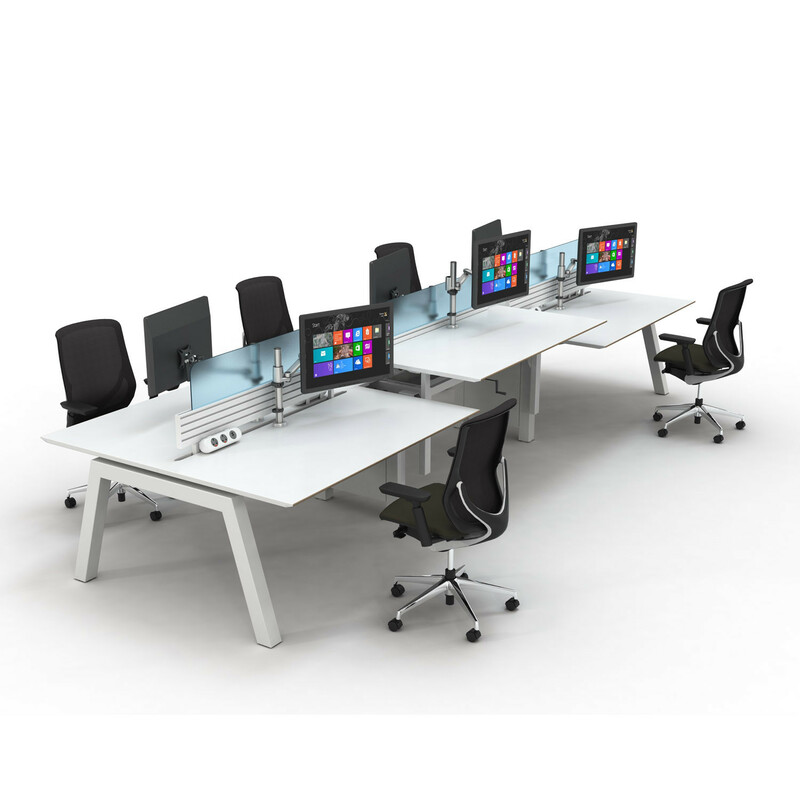 Work2 Office Bench Desk System, manufactured in the UK by KI, is a modular robust cantilevered office desking system characterised by its clean design. 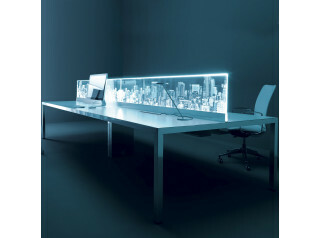 Work 2 creates uncluttered, unencumbered workplaces making it ideal for the modern office environment. 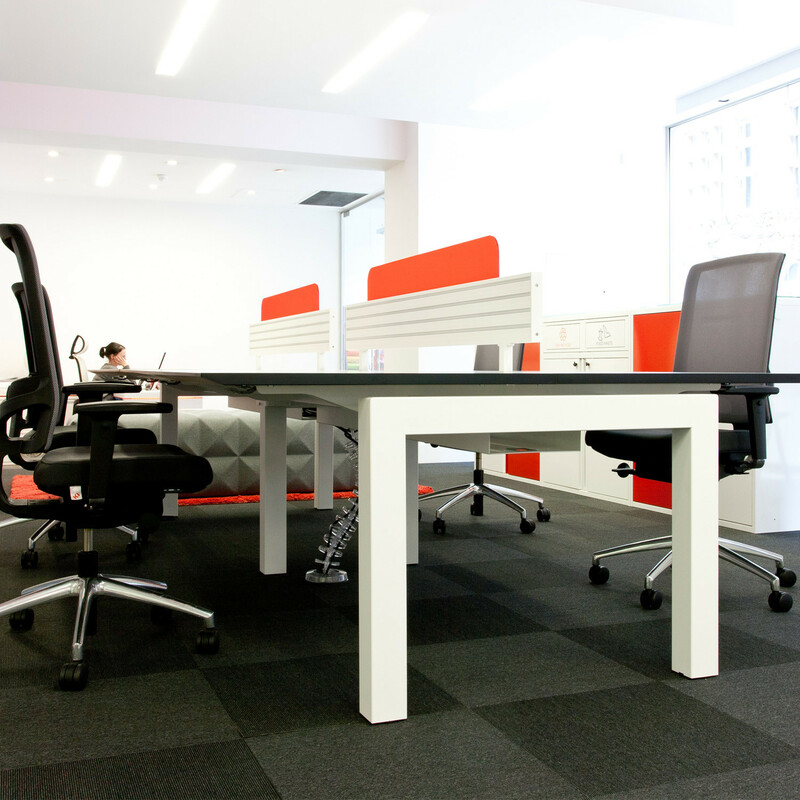 Featuring a bold square leg frame, the Work2 office platform is a flexible solution ideal for an open plan high density offices where you have teams of staff working on accounts or special projects. 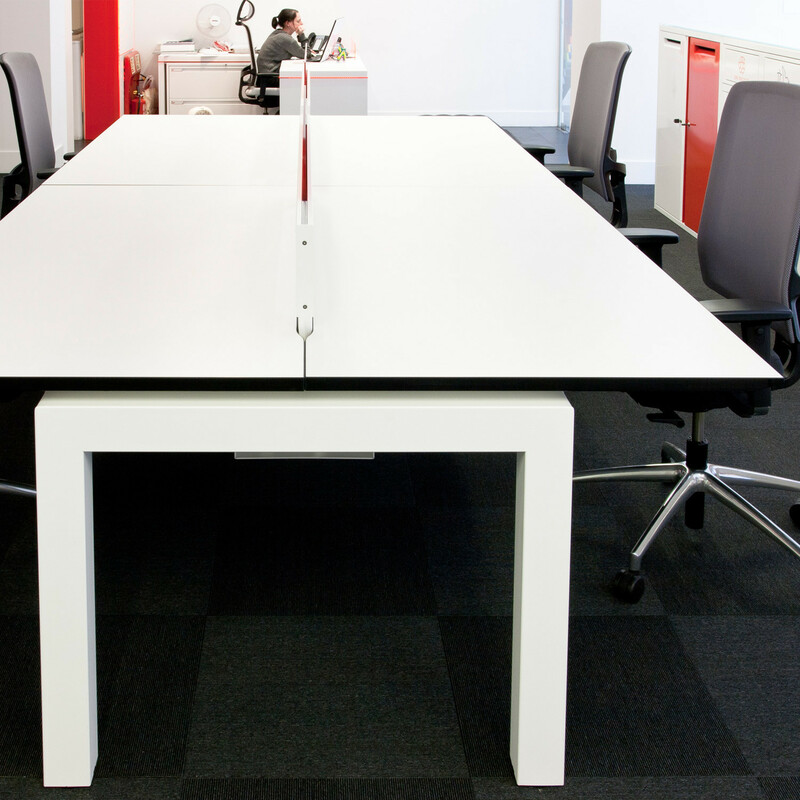 It's cantilevered understructure maximises free space below and above the worksurface, facilitating ease of movement and internation. 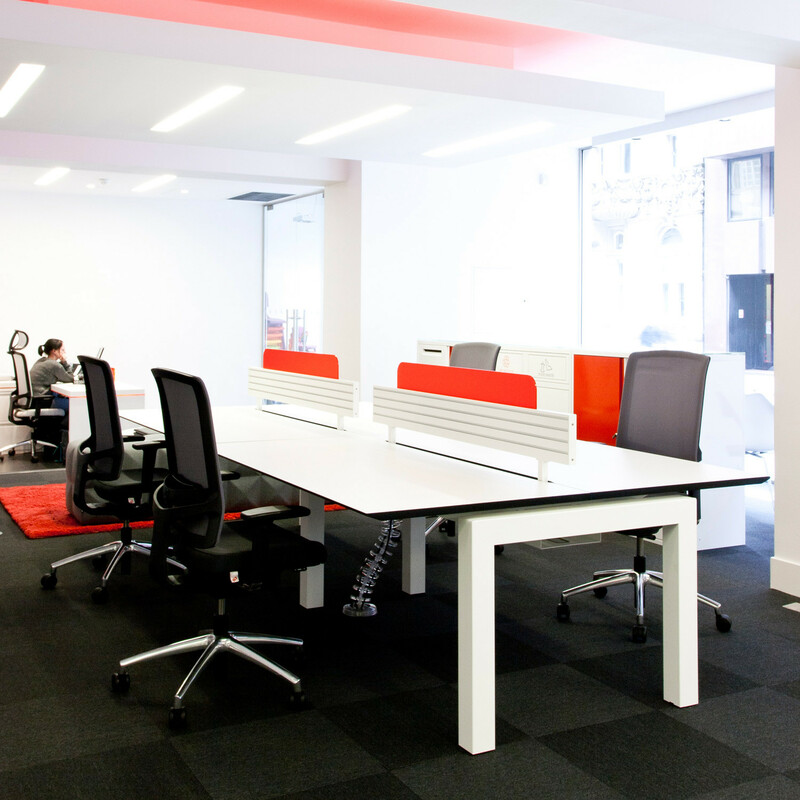 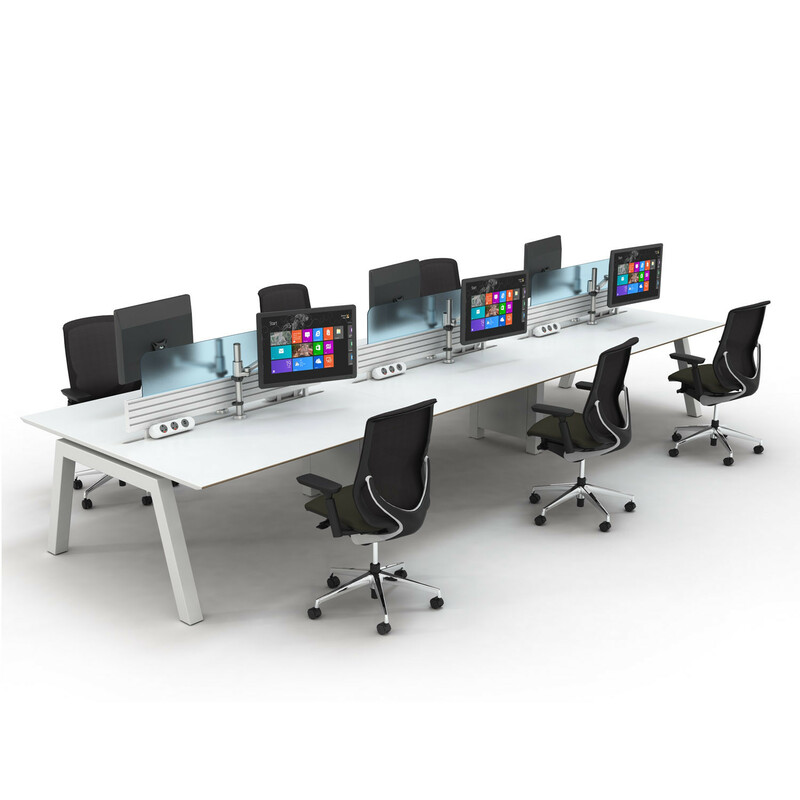 Depending on your requirements, Work2 Office Bench Desking is available with or without desk screens which can be specified in a wide range of colours. 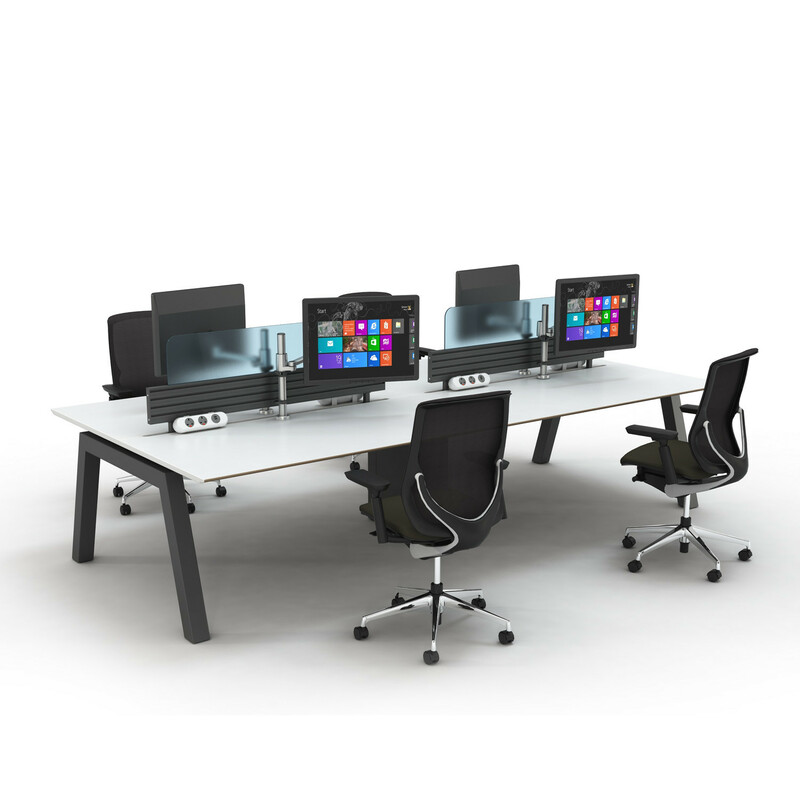 The Work2 Bench can also be supplied with cable management. 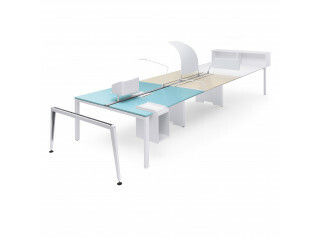 You are requesting a price for the "Work2 Office Bench Desks"
To create a new project and add "Work2 Office Bench Desks" to it please click the button below. 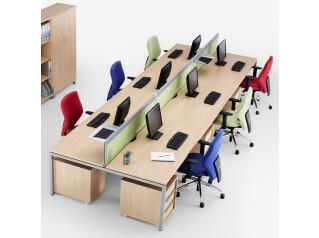 To add "Work2 Office Bench Desks" to an existing project please select below.